Be well informed before making a decision to buy! Helensvale is one of the more established suburbs located at the northern end of the Gold Coast with a mix of residential properties, golf course properties, canal estates and acreage. 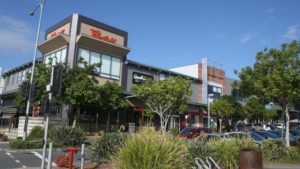 Westfield – Helensvale Shopping Plaza is a great asset to the suburb as well as the easy access to the heavy rail & now also the Light Rail. A perfect location for residents who commute to Brisbane via the heavy rail or travelling on the Light rail all the way down to Broadbeach on the Gold Coast! The “Night Quarter” Markets next to the Helensvale Westfield Shopping Centre have been very popular with the locals. Great food & entertainment, a must for everyone living on the Gold Coast. View reviews and comments from our other Helensvale customers and see what they have to say about us and our services! Hi Peter, many thanks for your great service and thorough inspection. We really appreciated your explanations and building knowledge regarding the issues. We were very impressed with the whole inspection and will be certainly recommending you. Thanks again! Thank you so much for your excellent service. We were so impressed with the explanations you gave us at the property and how we could approach the repairs. We appreciated your knowledge about the renovations and we felt confident going ahead with the purchase. We got quotes as recommended and undertook the work after we moved in and we love our new home. Thank you. We will certainly be recommending your services. It was lovely to chat to you just now. You were the first person I spoke to and I got such a good feel from talking to you that I didn’t even go elsewhere. Thanks. We are very happy with your report. Thanks for the heads up about the possible drainage issues etc. I’ll be sure to pass your services on to anyone I know. Thank you for the inspection you completed today for us. Everything to do with the building and recommendations was thoroughly explained in an easy to understand manner for myself and my partner, really impressive building and pest inspection. I will definitely recommend your company on to friends and family. Thanks for your time, advice and professionalism yesterday. It was much appreciated as was the quick provision of the reports. Thank you. I’m sure you will not be surprised to hear that we’ve decided to terminate the contract. Hopefully we’ll find the right place soon and will definitely be in contact for an inspection even before signing of a contract!! Many thanks for your report and subsequent discussions. On the basis of your report and that of the pest inspections, we have decided to withdraw from the purchase. We are grateful of your expertise which has saved us from making an inappropriate acquisition. Thank you for the professional and thorough inspection. We took your advice to seek an engineer’s inspection and it turns out that the house had sunk 25mm. We require your services again this week if you are available. Thank you for your very efficient and professional service. Your explanations made it easy for us to negotiate a reduced price on the property. We were recommended to you by our friends and we will be recommending you as well. Many thanks.